Similar to contact fungicides like copper and chlorothalonil, most biopesticides, when deposited on the upper surface of leaves, cannot move through them to the lower surface, where infection can occur, like translaminar and systemic fungicides can. Drop nozzles allow you to reach below the leaf canopy. 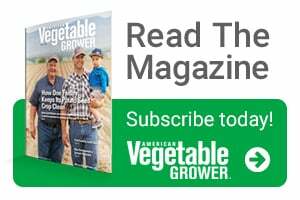 Due to growers’ rapidly expanding interest in using biopesticides to manage crop diseases and minimize environmental impact, there are a lot of products on the market today. Even major crop protection companies are developing products. 1. Biochemical pesticides contain naturally occurring substances that control pests. Substances that control diseases include potassium bicarbonate, hydrogen dioxide, phosphorous acids, plant extracts, and botanical oils. 2. Microbial pesticides contain microorganisms that function as biocontrol agents, affecting the pathogen directly or indirectly through the compounds they produce. 3. Plant-incorporated protectants [PIPs] are the least common type of biopesticide. These are pesticidal substances produced by plants that contain genetic material added to the plant, often through genetic engineering. EPA regulates the genetic material and the protein it encodes, but not the plant itself. Examples include virus-resistant varieties that produce the virus-coat protein, which covers virus particles after infection and prevents their replication. Almost all biopesticides are approved for organic production, and most products approved for organic production are biopesticides. However, some formulations are not approved. That can be due to inerts. For example, potassium bicarbonate products like EcoMate, Armicarb O, Kaligreen, and MilStop are approved, whereas Armicarb is not. Some biopesticidal substances are not allowed under the National Organic Program. Good examples are products using phosphorous acids (because they are synthetic) and genetically engineered PIPs. On the flip side, there are important organic fungicides that are not biopesticides, including mineral oils, copper, and sulfur. Biopesticides break down in the environment, so there isn’t the same concern about build-up in soil as with copper, which is an element. Some biopesticides are defined as minimum-risk pesticides through FIFRA Section 25(b) rule because their active and inert ingredients are generally recognized as safe (GRAS). Consequently, these are exempted from the FIFRA regulation requirements and can be used on any labeled crops for any target since they do not need to be registered as a pesticide. ‘Exempt from EPA registration’ is stated on the label of these products. Just because products are registered for use on crops in the U.S., you can’t assume they are effective. Registration is based on safety, not efficacy. That’s where universities come in. Researchers are replicating experiments across the country. You can read our evaluations of biopesticides and other fungicides online. You can search by crop, disease, product name, etc. You can find a summary of results from reports on organically approved biopesticides tested for diseases of vegetables at http://blogs.cornell.edu/livegpath/organic/organic-management-of-vegetable-diseases under ‘Specific Management Practices and Tools.’ You can also always check with the product manufacturer. Calibrate sprayers and replace worn nozzles. For foliar diseases, start applications before you see symptoms. Most biopesticides have contact activity, acting on the pathogen before infection. Others induce resistance in the plant. These cannot cure symptoms, and they won’t arrest any infections in the pre-symptom stage. Maximize spray coverage. 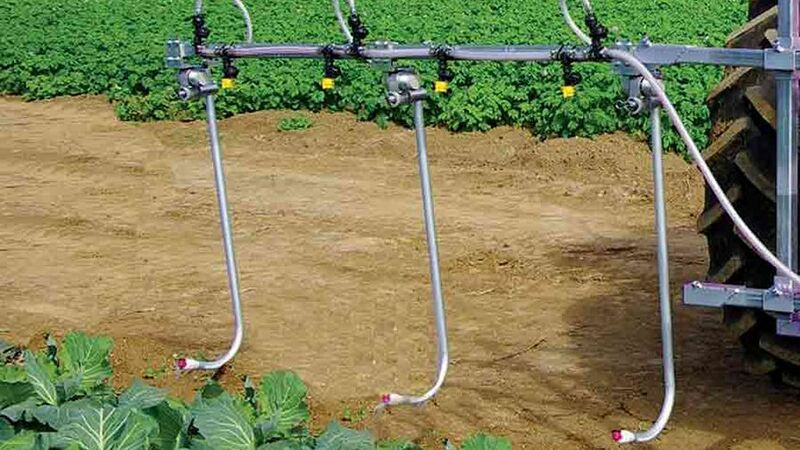 For example, use drop nozzles with non-vining plants. Similar to contact fungicides like copper and chlorothalonil, most biopesticides, when deposited on the upper surface of leaves, cannot move through them to the lower surface, where infection can occur, like translaminar and systemic fungicides can. Maintain a regular spray schedule (typically weekly). Use an adjuvant when recommended; this information is often on the label. Make sure an application was made within a few days of forecast rain, which will provide conditions favorable for infection for most pathogens. Reapply as needed afterwards; an intense rain event can remove a lot of residue of any pesticide that when deposited stays on the plant surface rather than moving inside. An integrated management program is the best approach. Use resistant varieties and other cultural practices. Alternate among biopesticides that differ in type of active ingredient. Biopesticides can be useful for managing the development of resistance to conventional fungicides they are applied with; ideally, they need to be as effective as the conventional contact fungicide they are replacing in the fungicide program. Short REI and PHI with most biopesticides can be valuable for plantings harvested multiple times. 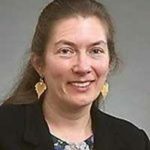 Margaret T. McGrath is an Associate Professor in the Plant Pathology & Plant-Microbe Biology Section at Cornell University, Long Island Horticultural Research & Extension Center.